Avena sativa (oats). commons.wikimedia.org (Accessed10/2017). 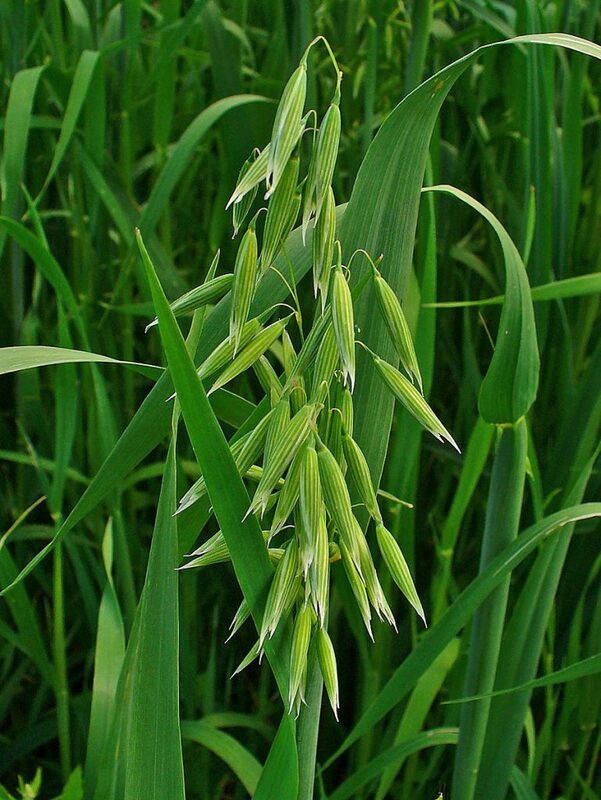 Avena sativa is an annual C3 grass (Pascal-Antoine 2008) to 1 m tall. 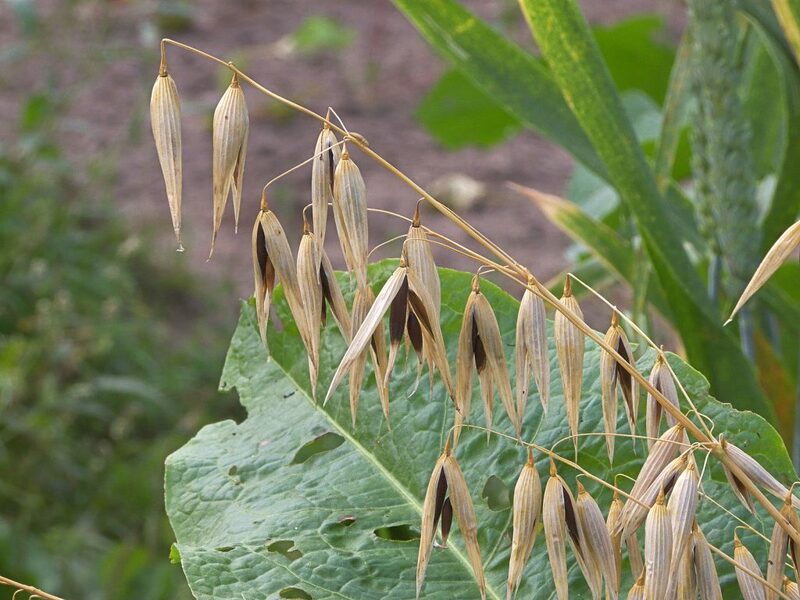 Leaves alternate, ligules 0.2-0.6 cm membranous, blade rough, to slightly hairy, 0.3-1 cm wide. Avena sativa. 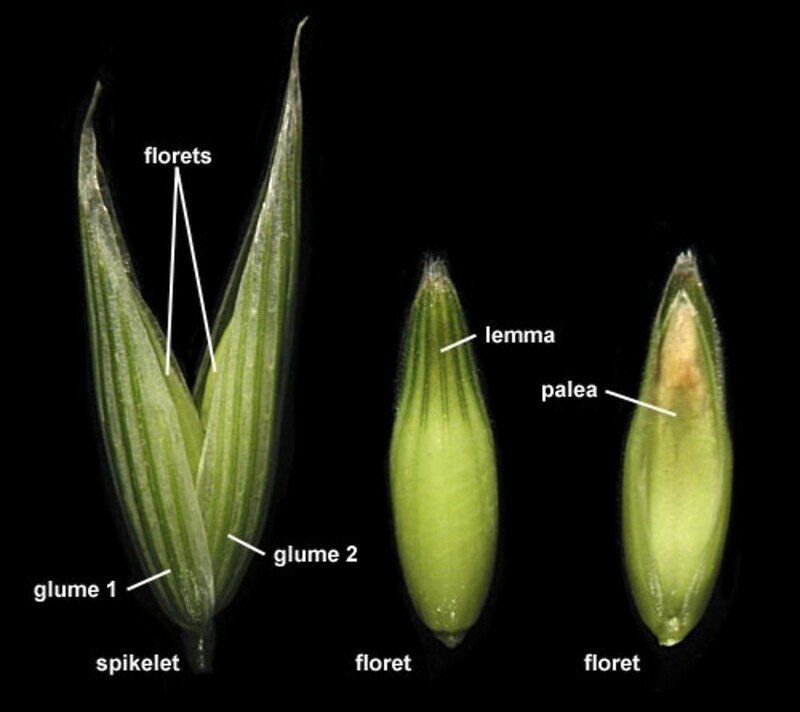 spikelet labeled. By Anna Gardner. Copyright © 2017. Ada Hayden Herbarium – Iowa State U. New England Wild Flower Society. gobotany.newenglandwild.org (Accessed 10/2017). Flowers: Spiklets 2 flowered, nodding, axis smooth, glumes 2- 2.5 cm long, with 9-11 veins; lemma 1.5-2 cm, hard, sometimes awned, 2.5-3.5 cm long; inflorescence 10-25 cm or more, open, branches horizontal; blooming and fruiting July-Oct.
Avena sativa black oat, zwarte haver. ripe inflorescence. commons.wikimedia.org (Accessed 10/2017). Habitat: Disturbed sites. Sometimes introduced from hay bales at construction sites. Generally not persistent (Gargiullo personal observation).